CAD Schroer introduces new tools, enhancements and interfaces for faster, more flexible, productive and collaborative engineering design. Cambridge, UK and Pittsford, NY – 5 September 2013: CAD Schroer introduces more intelligent routing tools and data exchange options with latest release of the catalog-driven large-scale plant and factory design suite. MPDS4’s catalog-driven design approach saves huge amounts of time compared to regular MCAD 3D modelling techniques, both during the pre-sales and detailed design stages of industrial projects. “With this release, we’ve extended our dynamic routing and intelligent design tools even further, shortening project times while producing high quality engineering data, which can easily be exchanged with customers and suppliers, and managed consistently through the PDM system of choice,” says Product Line Manager Mark Simpson. The latest P&ID module offers a new configuration tool for administering symbol libraries and attributes, as well as element selection enhancements. 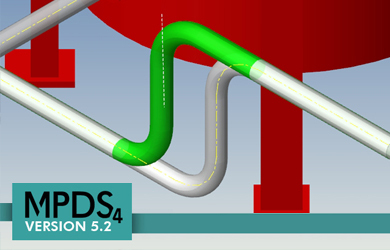 Version 5.2 introduces new functionality for fast and intuitive routing of pipes, ducts and conveyors, dynamic design editing, and intuitively moving components in assemblies via grab handles and new sliding functionality. The Parametric Equipment Library offers new selection, editing, loading and intelligent component positioning functionality. There are new flexible 3D data exchange and colour mapping options, including bi-directional 3D DWG conversion of model files, as well as the option to export an entire plant, or parts thereof, to the 3D DWG format. The CADConvert interface now supports the AutoCAD® file format from AutoCAD R. 12 through AutoCAD 2013. 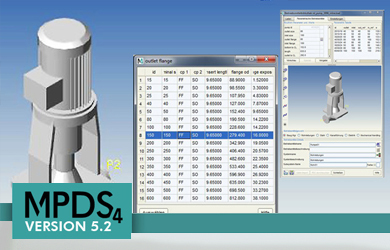 MPDS4 has extensive data import/export capabilities (2D: DXF, DWG, 3D: DWG, STEP, IGES, STL, COLLADA (Google Earth), VRML, VDA-FS) enabling users to obtain and share drawings and models with customers and suppliers. A new Windchill PDMLink Workgroup Manager for MEDUSA4 (the advanced 2D/3D drafting systems delivered with MPDS4) is now available, and this release sees many enhancements to the many PDM/PLM integrations developed by CAD Schroer. 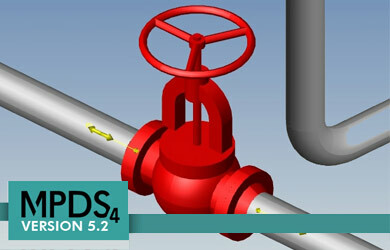 MPDS4 version 5.2 is available as a free upgrade to CAD Schroer’s maintenance customers. New customers working on sustainable energy projects currently benefit from a 70% discount.